When it comes to Valentine’s Day in Prague – it’s all about ideas. It could be another year of flowers, cards and chocolates. And that might not quite cover what you would like to say. You can do something really special and come to Prague – the most romantic European capital. 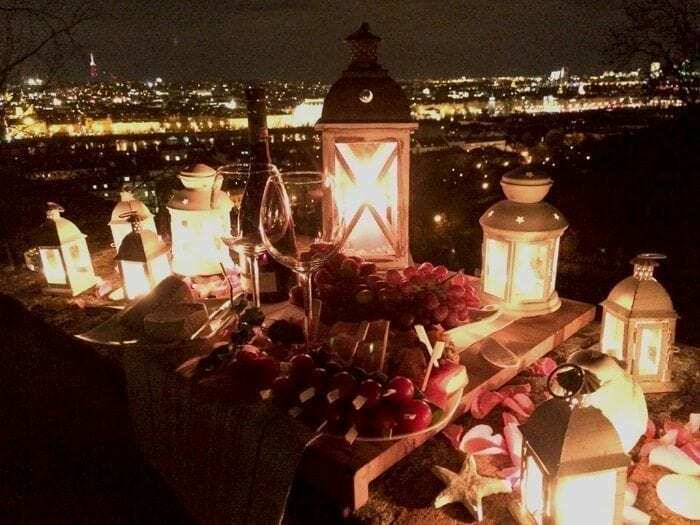 Treat yourself and your lover to an unforgettable Valentine’s Day evening in Prague, somewhere quiet, surrounded by hundreds of candles, so that you can spend time together, far from the distractions of home. 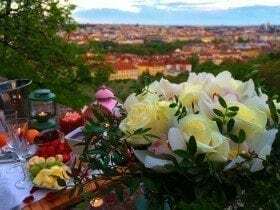 Prague is one of the world’s most romantic cities and one of Central Europe’s most romantic destinations. The Czech capital is a delightful location in which to celebrate St. Valentine’s Day. 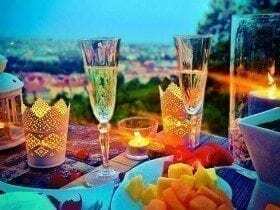 Whether you plan a trip to Prague specifically for this holiday, or just happen to be here by chance – take advantage of what Prague has to offer. Spending your Valentine’s Day in Prague could be a delightfully romantic gift for your ‘special someone’. There is no end of entertainment! Bars and restaurants filling the romantic streets with music and the scent of local delicacies late into the night. Cobbled streets, golden spires and quiet parks are perfect for a lovers’ stroll. 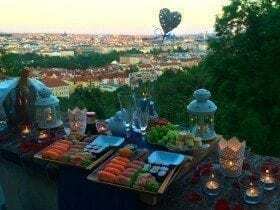 Your Valentine’s Day in Prague could end at a quiet location overlooking the city at sunset. 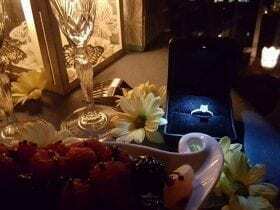 Feel free to contact me to tailor-make your own private St. Valentine’s Day romantic surprise for your lover. Surrounded by Prague’s beautiful scenery, you can really disappear together, relax and share something special for your Valentine’s break. After all, isn’t the best Valentine’s gift you can give that of your uninterrupted time and attention?